The little voice was calling me from across the living room. Sighing, I turned from my laptop in the kitchen and looked over at my 5-year-old, standing expectantly by a large cardboard box, a pair of scissors in hand and hope writ large across her upturned face. “Just a minute, Noelle,” I sighed, trying not to let my irritation over the interruption show. Tim and I were about to leave town for several days, and my to-do list of loose strings felt more like a rat’s nest of tangled threads, weighing me down. Our trip was two short days away and I already felt panicked over not finishing everything in time. What if this is your most holy work today? The question made me pause. My to-do list felt endless, my house needed cleaning, laundry and dishes needed washing. I had editing and writing to do, and the organizations I work with needed tasks finished before I left town. All of those things felt important, necessary. I have people counting on me, I warred inwardly, silently. But the quiet voice urged again: What if this is your most holy work today? I have to admit that I pray for wisdom often as a mother because I know that, in my own power, I’m not cut out for it. I can be selfish; I’m not always brave. Sometimes I feel inadequate and unskilled, my degrees and life experience rendered meaningless. But I believe—in a way I never used to—that motherhood is a calling. And that maybe, when God talks about being poor in spirit, this feeling of vulnerability—that in my own power, I am unequal to the calling I have received—is what he means and is the catalyst required for me to see how much I need him. 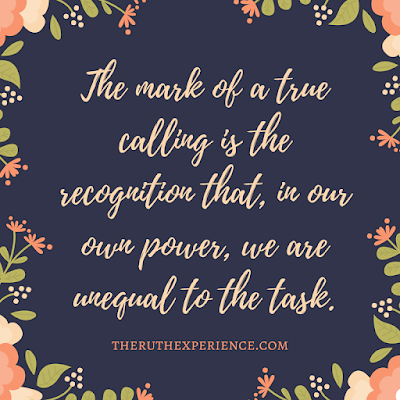 Often, the mark of a true calling is the recognition that, in our own power, we are unequal to the task and could never accomplish it on our own. For a long time, I hesitated to say that motherhood is a calling. It wasn’t because I didn’t believe it was important but because I know many women who may not have children, either by choice or by circumstance, and so giving motherhood that kind of privileging felt unkind. But I have come to believe what Holley Gerth says, that all women are mothers because all women bring life to the world in some way. Motherhood looks different to different people. With that said, I recognize my other callings, too. I’m called to be a writer. I'm called to be sensitive to those around me, overly empathetic in a way that can be challenging. I’m called to live generously. I’m called to volunteer with organizations that help others. And, I’m called to be a mom. Refocusing on my daughter, I cross over to her. We talk about optimum window placement for her toy dog's “house,” adding one on each side and removing the top flaps. And as I sit beside her on the carpet, I resolve: Yes, this is my most holy work today. And I'm going to approach it that way. Ponder: List one or more of your callings. 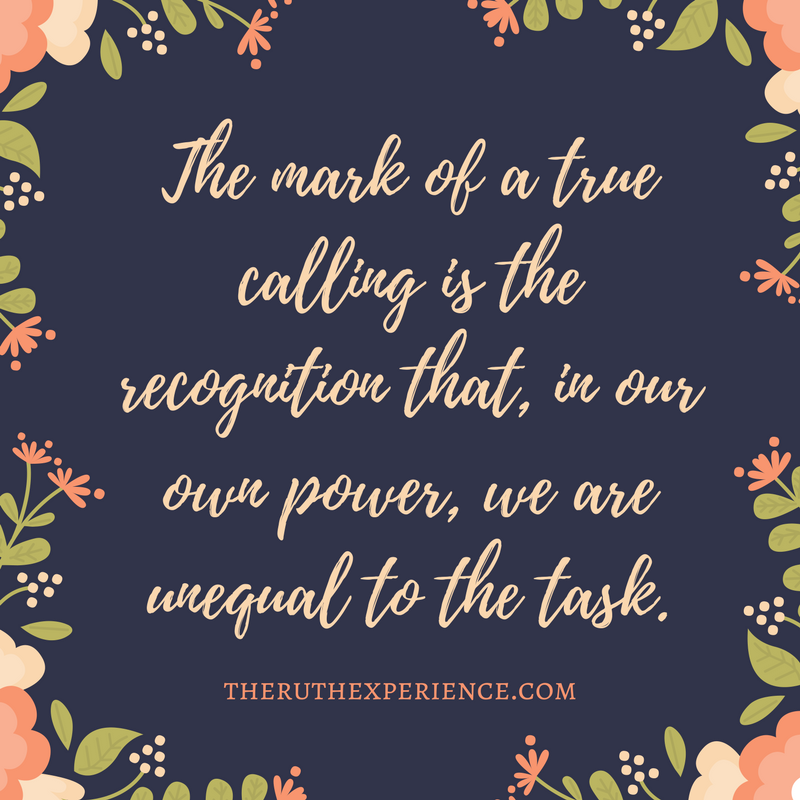 Do you feel like God has equipped you to fulfill those callings? In what ways do you need to lean on him in order to fulfill them? Pray: Read 1 Samuel 3. Though God may not speak aloud to us, he does communicate to us through his Word. Today, pray for the wisdom and discernment to listen to God and the truths he is revealing to you. Act: Consider the callings you have received. Are there areas in your life in which you need to reprioritize in order to fulfill them? Today, prayerfully consider if you need to reconfigure your schedule, finances, or priorities. 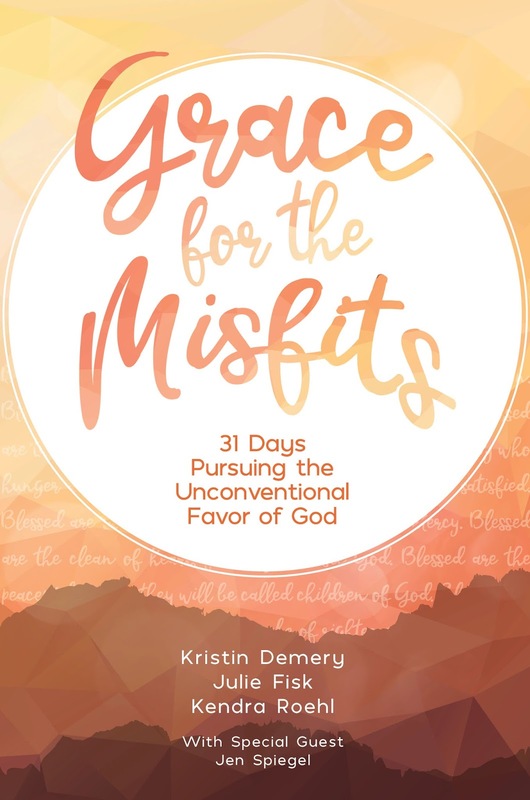 We are SO excited to announce that our new book Grace for the Misfits: 31 Days Pursuing the Unconventional Favor of God, is available now! This book will offer encouragement and hope for anyone who has ever felt like they didn’t quite fit in, walked through hard times, or wasn’t sure God could use them--all while discovering the upside-down ways of Jesus, his kingdom, and what (and who) he says matters. This book will make the perfect gift for yourself or someone you know (Mother’s Day is right around the corner!). Find out more information here.